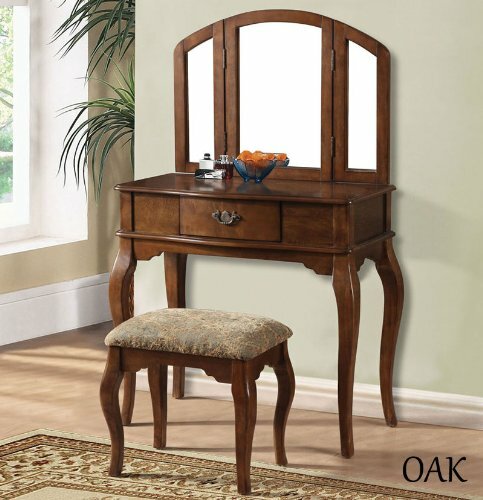 Mirror White Black Oak Cherry Wooden Make up Table Bench Vanity Set (Oak) by at The Malaysian Mirror. Hurry! Limited time offer. Offer valid only while supplies last.